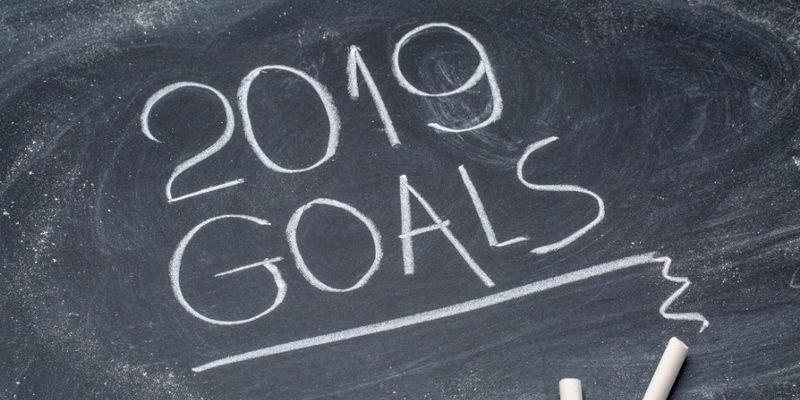 2019 is here and it’s time to make our New Year’s resolutions and vow to do less of things that are bad for us, and more of the things that are good for us! The reason so many of us set ourselves a goal for the New Year is so that we can change something that we’re not happy with, however, it’s not just our personal lives that could benefit from a positive change. Setting New Year’s resolutions for your brand could really help to boost your business in 2019, and we’ve got a few ideas to get you started. There are all the old favourites when it comes to promo items, but how about trying something new this year? What about exchanging a pen for a magnetic notepad? Or a regular fridge magnet for a magnetic bottle opener? With so many people flocking to the gym in January and signing up for memberships, why not give your brand a bit of a workout? Printed membership holders are a great giveaway that are sure to be used! It’s never been more important for businesses to be environmentally conscious, so why not try one of our biodegradable fridge magnets or coasters? If your goal is to save money this year then we can help! At Badger Design we have a great selection of quality promotional items that won’t break the bank, including our budget range of stickers and flexible fridge magnets – just get in contact for details! It’s great when a promotional item stays on a desk under your customer’s nose all day as a constant reminder, but what if your logo travelled with your clients as they did? Branded Oyster Card Holders could be used by up to 8 million people a day in and around London! Branded magnetic memo boards are great for internal office use. They can stick straight onto filing cabinets and help your employees stay on top of their to do lists for 2019. Larger dry wipe boards are also ideal for strategy meetings. Whatever your New Year’s brand resolution is, the team at Badger Design are here to help you stick to the goals you set your company! And to make things easier, you can now register for a trade login and view the prices on our website! Click here for details. What will your 2019 brand resolution be?